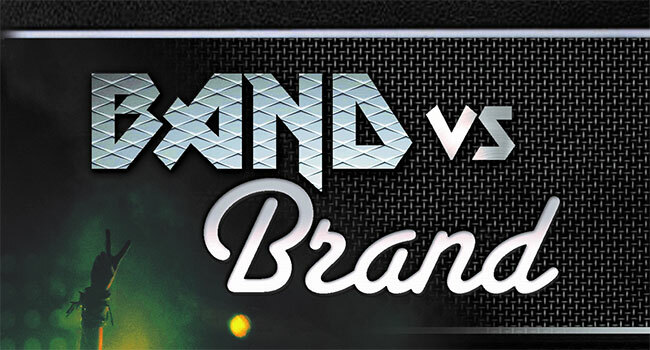 Band vs Brand, a documentary examining the current state of the music business and on how “the brand” of a rock group has more power than the band members, is coming to DVD and digital on February 12th via MVD Entertainment. It features interviews from several top industry executives and musicians of today, including David Ellefson of the Grammy Award-winning band Megadeth, Jack Russell from Jack Russell’s Great White, Nik Turner and Nicky Garrett from Nik Turner’s Hawkwind, Dave Lombardo from Suicidal Tendencies and formerly with Slayer, Marc Ferrari from Keel, Frank DiMino from Angel, Mike Varney from Shrapnel Records, Pat Gesualdo from The Hall of Heavy Metal History, manager Adam Parsons (Uriah Heep, Saxon, Europe, Thin Lizzy/BSR), guitarist/songwriter Jean Beauvoir (Plasmatics, Little Steven) and many others. When the new millennium began with record companies suing their own customers for peer-to-peer downloading, the graffiti was on the wall. Like the industrial revolution before, the digital age wiped out the multi-billion dollar record business we once thought recession proof and timeless. But the music didn’t die, it simply morphed into another dimension as the infrastructure built to filter, foster, package, market and sell it disappeared. Now music exists in an unfiltered internet ocean requiring navigational tools like Spotify and Pandora. And the vestiges of past record companies, co-opted into entertainment conglomerates, now create brands instead of artists, with commercials, soundtracks, and albums produced, not for the music, but to sell the brand. The film was written and directed by Bob Nalbandian, director of the Inside Metal series. Nalbandian and Danny Shipman are producers of the indie film. Band vs Brand will make its screening premiere on Wednesday, January 23rd at the Marriott Delta Garden Grove just prior to the the annual The Hall of Heavy Metal History Gala. Tickets for the awards gala are $30 each with the movie premiere open to the general public, free of charge. Advance tickets to the Awards Gala can be purchased online.